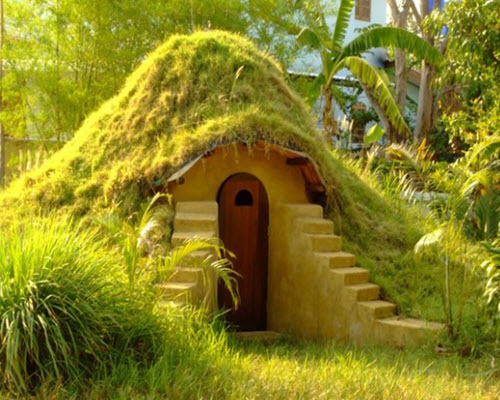 Not only do Earthbag homes and domes look cool, they are extremely practical. Resistant to all kinds of weather, floods, bullets and most every kind of danger; these structures are great as root cellars, storm cellars or even quiet rooms to escape from daily life. The process is relatively simple, with the stacking of earthen bags at specific intervals. These types of dwellings have been made for centuries by various cultures.